Running Through the Passage: New, FREE Stuff! Chronicling my adventures as a minimalist long distance runner in Nova Scotia. It has arrived! Okay, so the back story first. 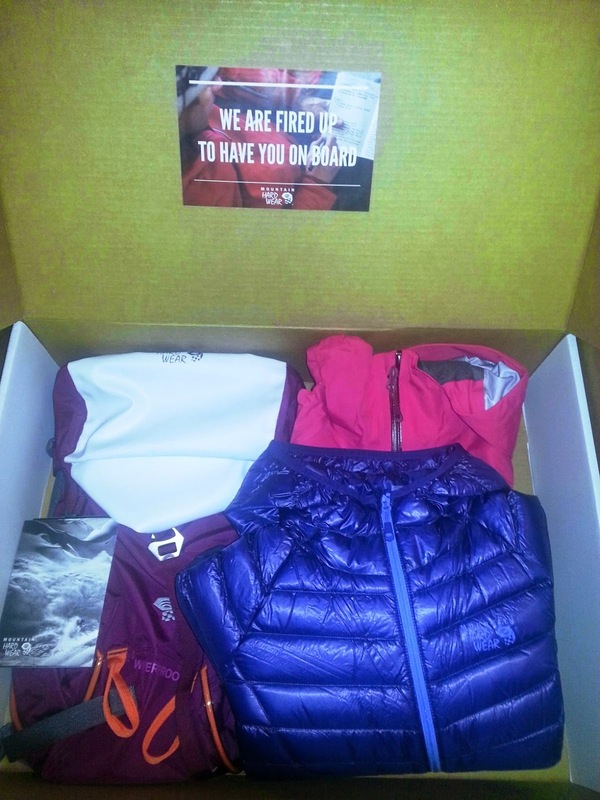 I applied to be one of Mountain Hard Wear's Winter Ambassadors when I saw an ad on one of my favorite websites (TAUR). I filled in the fields, wrote a few paragraphs on "How I find Winter" and pressed "submit". Then I really didn't think much of it because, honestly, I really didn't expect to get picked-but I did! So, I've got the newest and incredibly light Ghost Whisper winter coat (in midnight blue) and a beautiful pink coat and a waterproof backpack called the "Scrambler 30." With today's temperatures being on the warmer side (0 degrees Celsius) I opted for the pink coat and the scrambler made its maiden voyage with me this morning. My initial impressions? The coat is very wind proof and the high collar kept my neck and lower half of my face toasty. More to come on that one after I've taken it out for a run. The same goes for the scrambler-who I think I will name Trixie-but already its been so nice not to have to squeeze all of my stuff into my small Salomon pack-that I'm sure was never meant for the daily abuse I've put it through these past 2 years. The fact this pack is waterproof is huge for me-especially here in Nova Scotia where the weather changes on a dime. 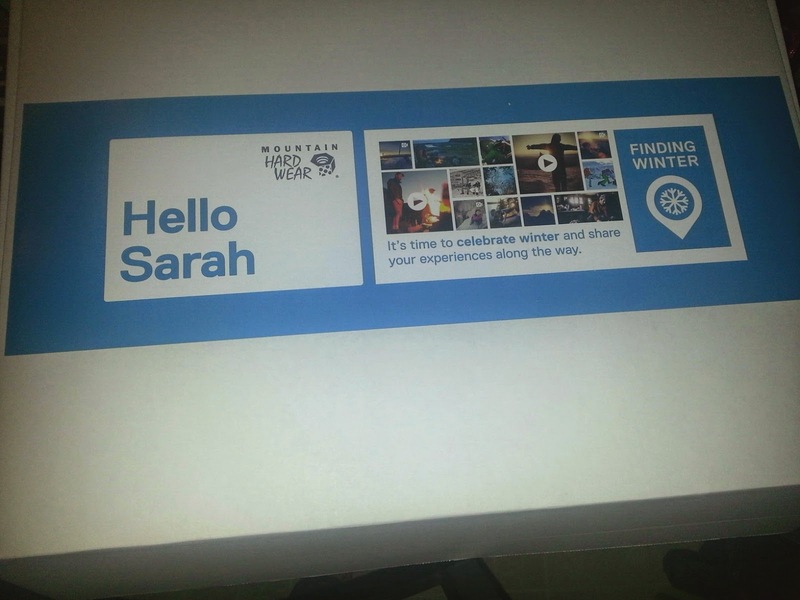 I'll certainly have more formal reviews of all three items in the weeks to come, and I'll be sharing my adventures as I am #findingwinter.